The Department of Labor (DOL) proposes allowing 16- and 17-year-olds employed in health care settings to operate patient lifts, according to a proposed rule published in the September 27 Federal Register. Currently, the DOL’s Hazardous Occupations Order 7 (HO 7) prohibits youth from working in occupations involving the operation of a power-driven patient lift. The proposed rule argues that patient lifts “substantially differ in form and function from the other equipment that the HO governs, including forklifts, backhoes, cranes, and other heavy industrial equipment” and are safer for workers than manually lifting patients. If finalized, the rule would remove the operation of power-driven patient lifts from the list of activities that HO 7 prohibits. 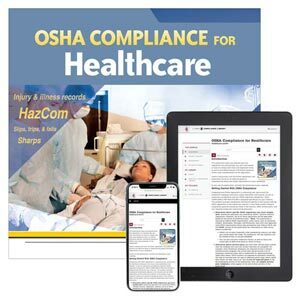 J. J. Keller's OSHA Compliance for Healthcare Manual serves as an effective reference for implementing safety and health requirements in your workplace.